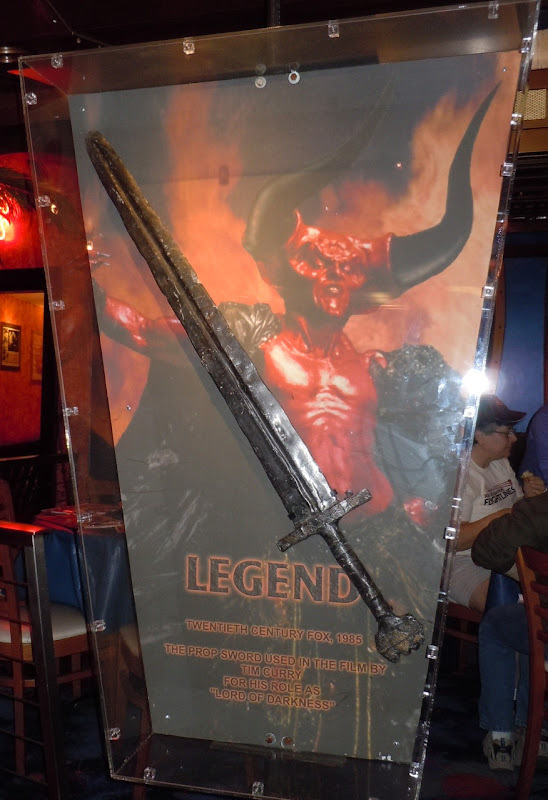 Welcome to this first installment of movie props, costumes and memorabilia photographed on display at the Planet Hollywood Cafe in Las Vegas on April 7, 2011. 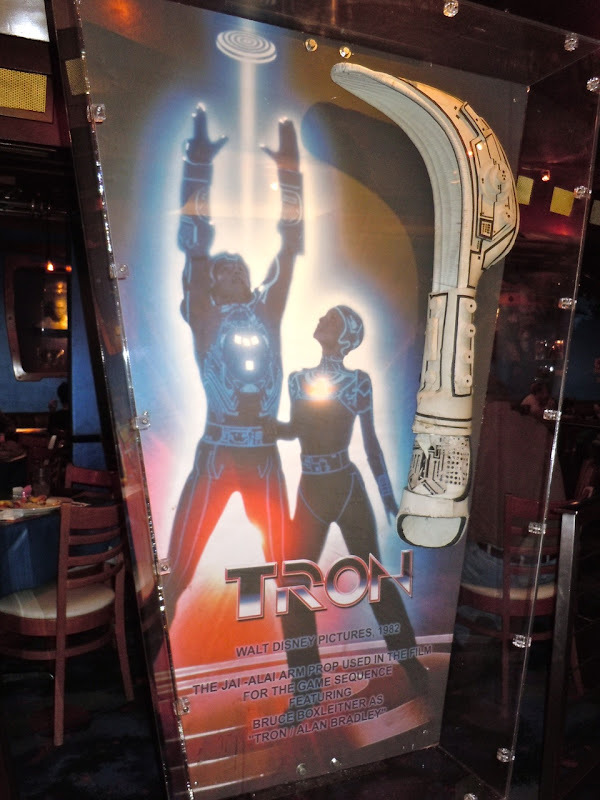 For today I've decided to collect together all the fantastic sci-fi and fantasy props found around the movie-themed restaurant. 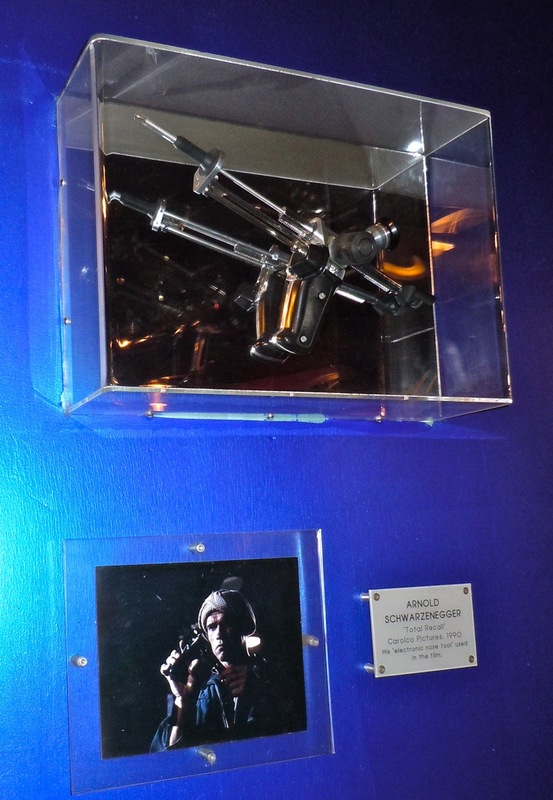 First up it seems only fitting to have a trio of props from Arnold Schwarzenegger movies, considering he was one of the original celebrity backers who founded Planet Hollywood alongside Bruce Willis, Demi Moore and Sylvester Stallone. 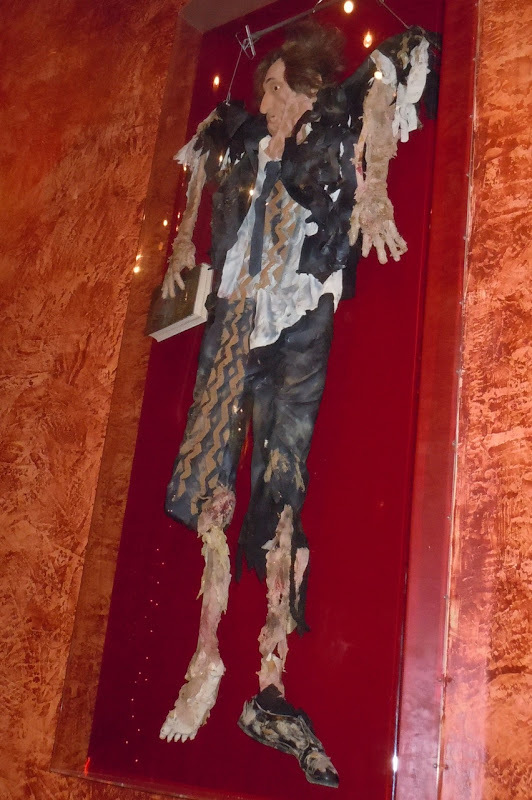 Here is his 'Mr. 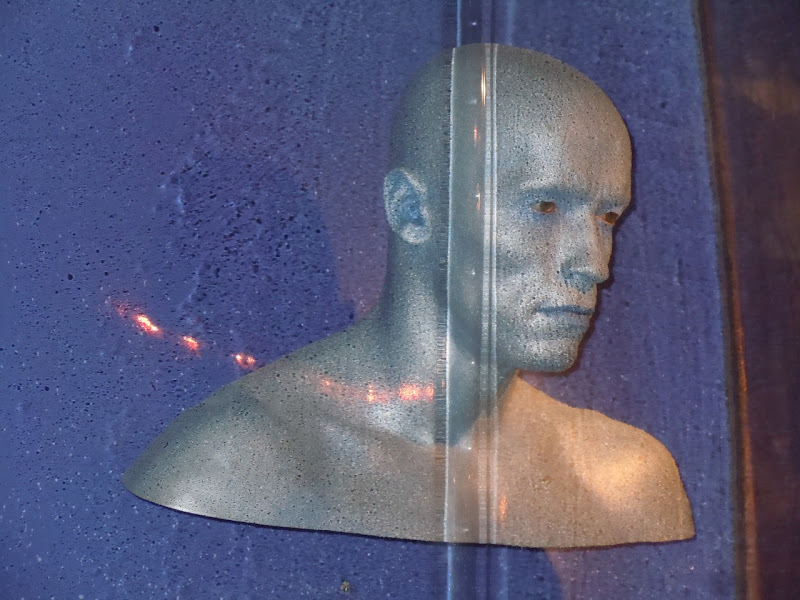 Freeze' head bust from 1997's critically mauled Batman & Robin. 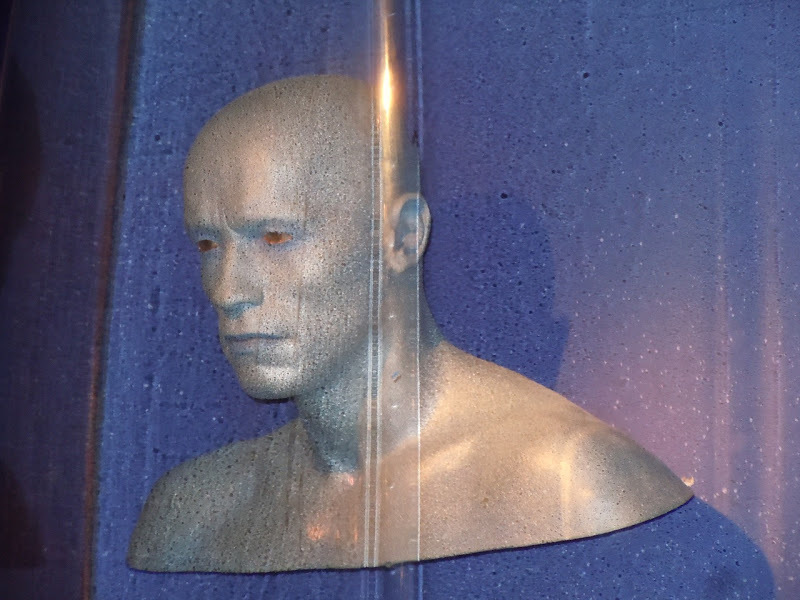 Apparently the prosthetic make up and costume for the frosty villain took six hours to apply each day. 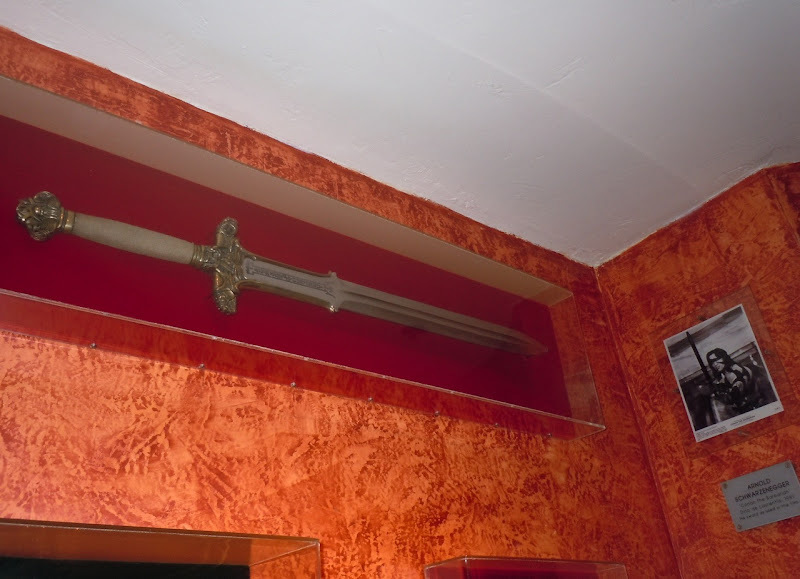 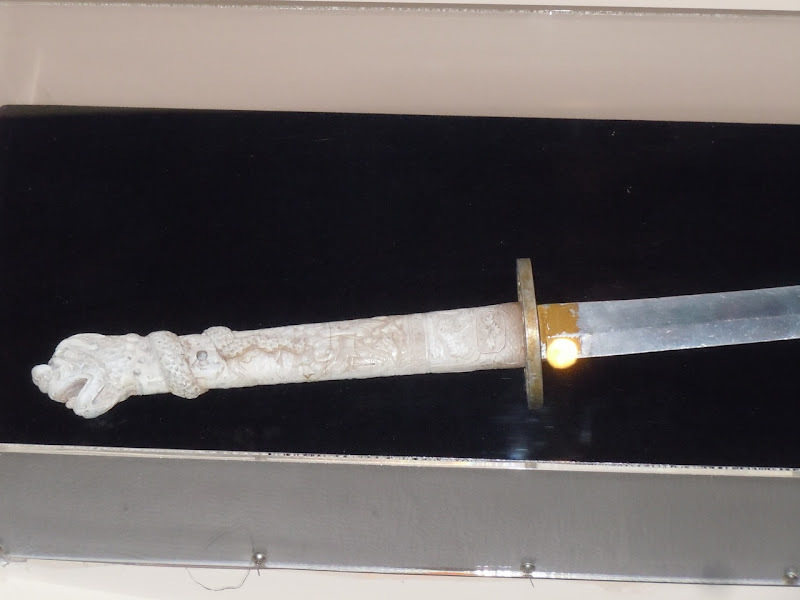 Next is Arnold Schwarzenegger's sword from 1982's Conan the Barbarian, the film that kick-started his blockbuster career. 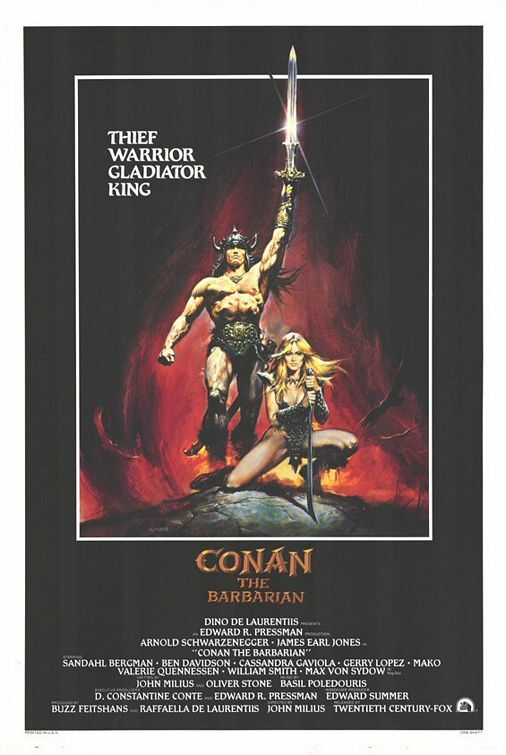 If you're a fan, be sure to also check out this Wheel of Pain miniature model from the original Conan the Barbarian movie. 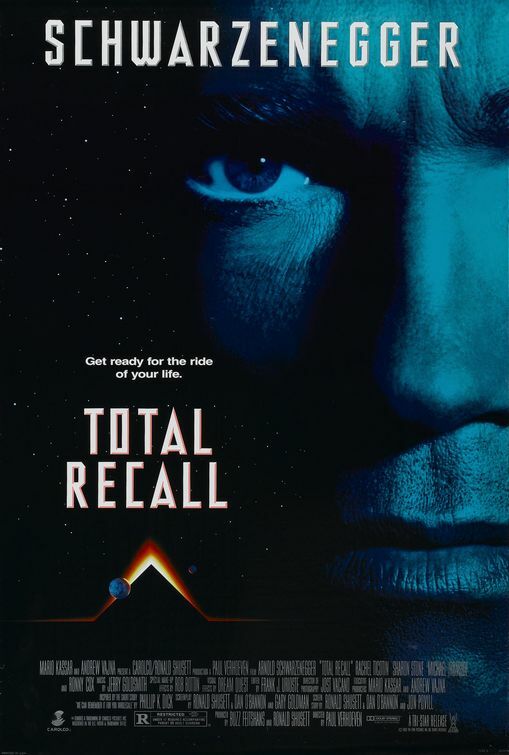 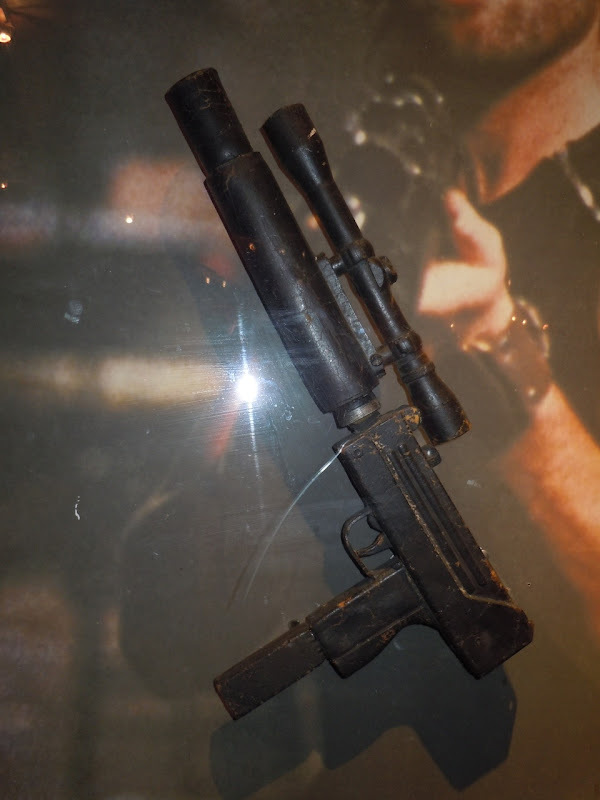 Thirdly, here's a futuristic prop from another of Arnie's movies that is currently being remade, Total Recall. 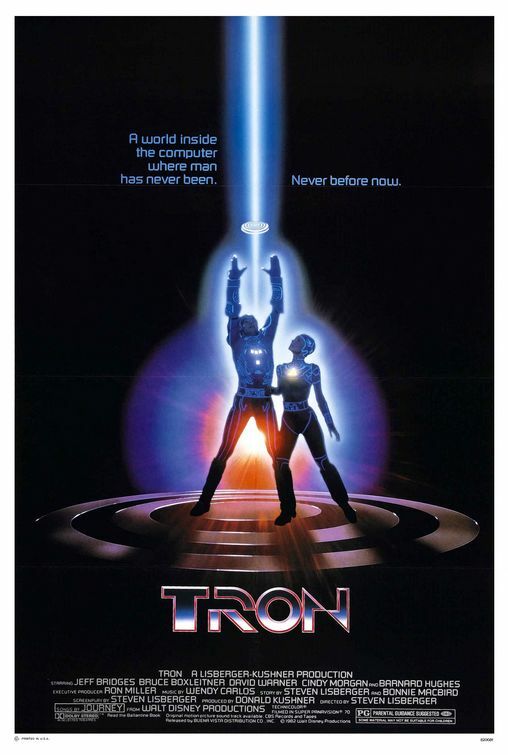 In the 1990 movie he starred as 'Doug Quaid', a construction worker in 2084 who discovers he's actually a secret agent freedom fighter from Mars. 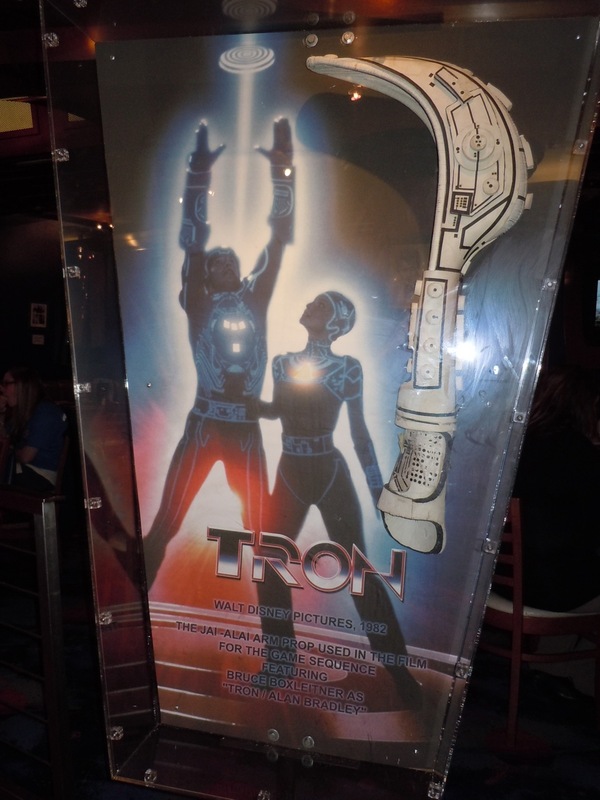 Next up is another sci-fi movie prop, this time courtesy of Disney's original 1982 Tron movie. 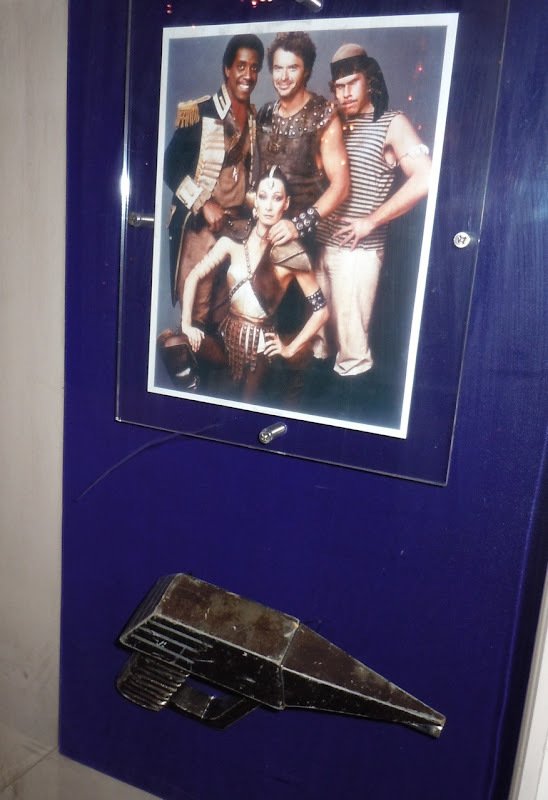 Jeff Bridges used this type of Jai Alai arm prop fighting in the gladiatorial games in the computerized mainframe world as the titular 'Tron'. 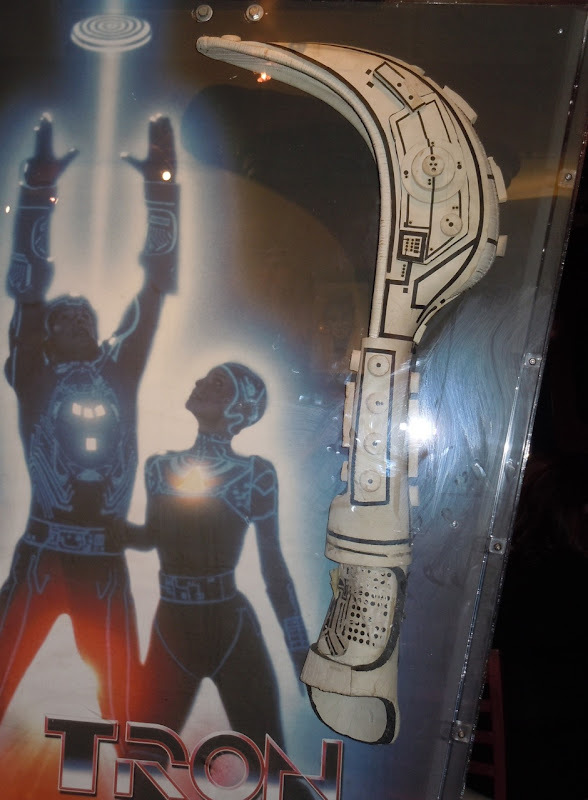 If you like this be sure to check out original costumes and props from Tron: Legacy, the 2011 sequel that took 28 years to make it to the big screen. 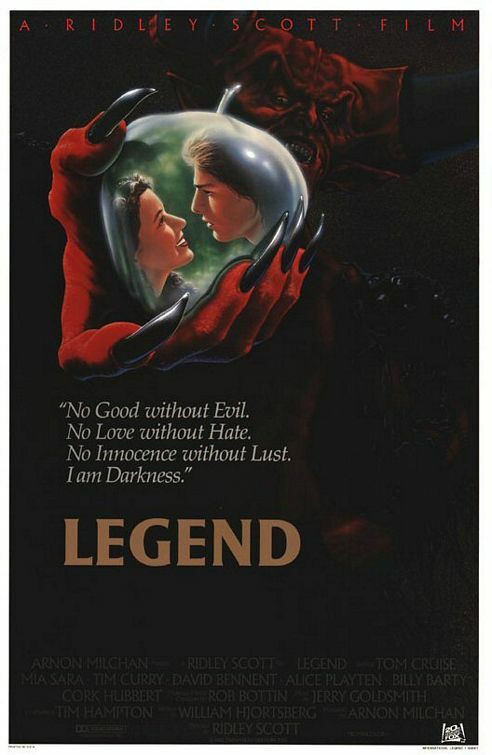 In Ridley Scott's 1985 movie, Legend (one of Tom Cruise's earlier movies), Tim Curry starred as the demonic 'Lord of Darkness'. 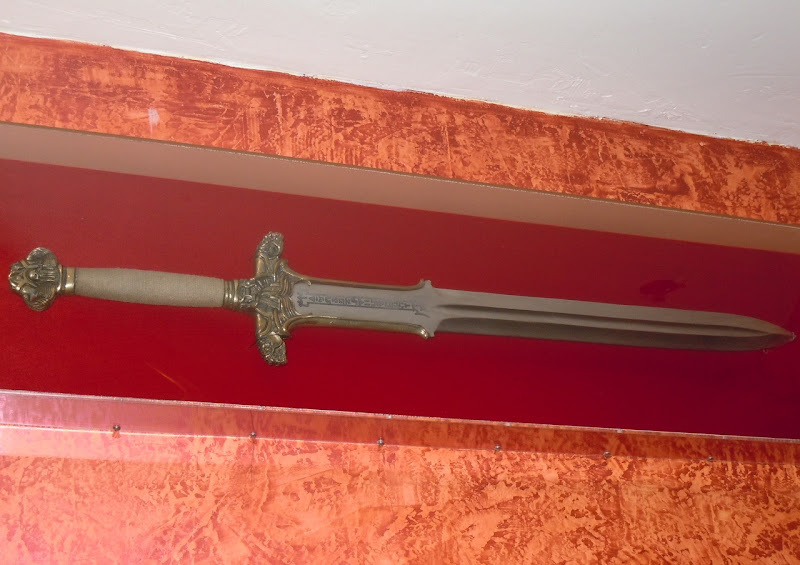 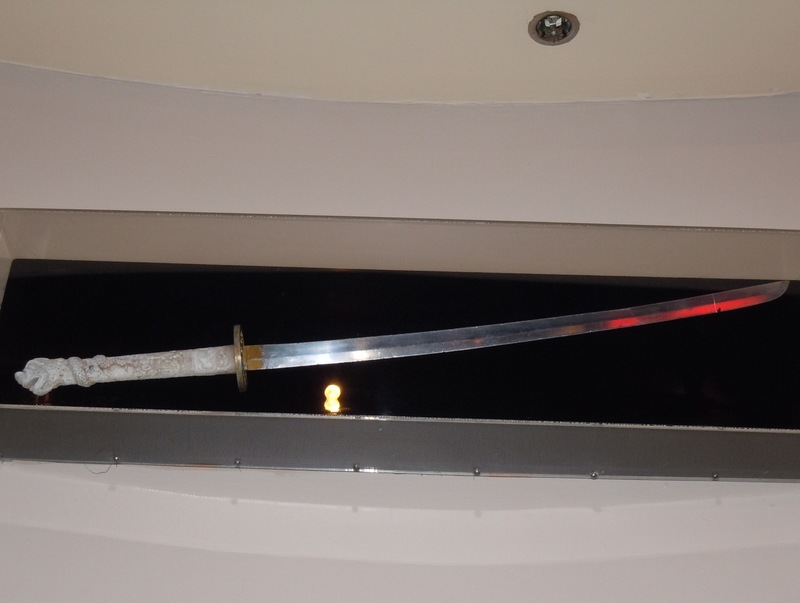 This is a giant sword prop from the fantasy adventure movie. 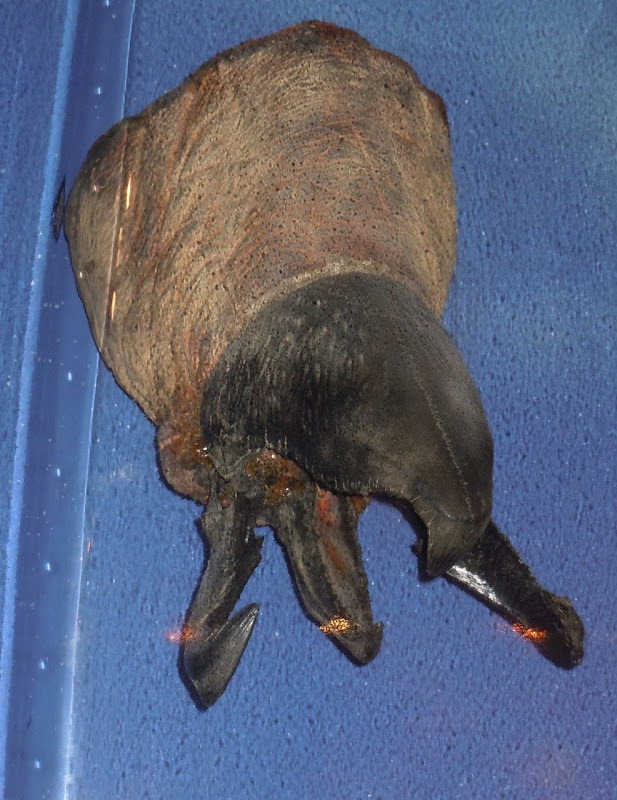 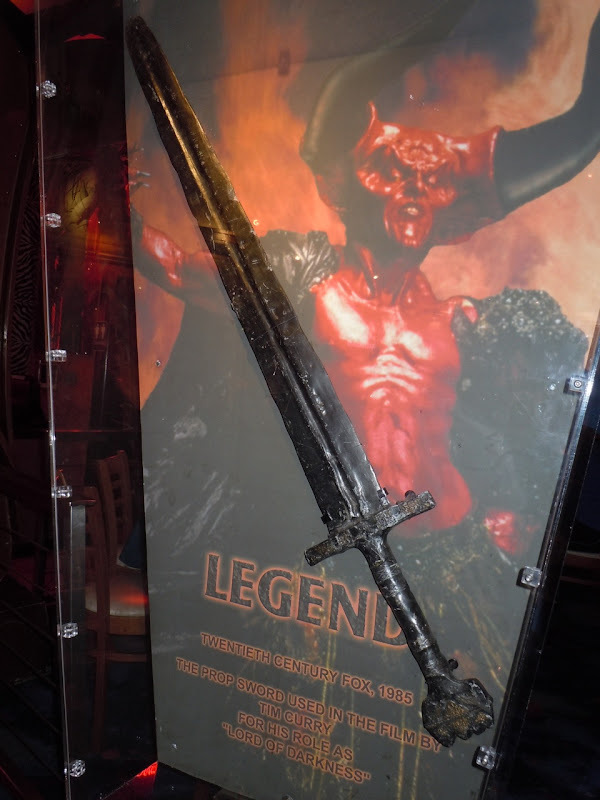 Also take a look at Tim Curry's Lord of Darkness creature make-up on display. 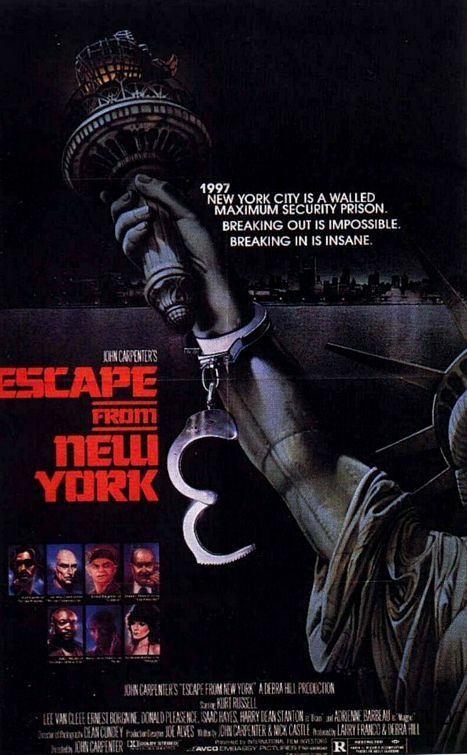 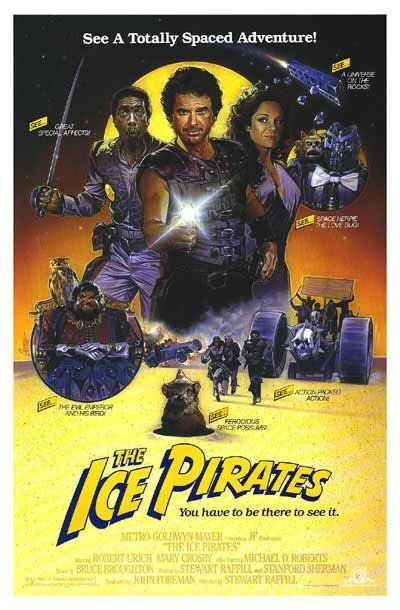 In John Carpenter's 1981 movie, Escape from New York (set in the futuristic 1997), the Big Apple is a massive maximum security prison and Kurt Russell's fugitive 'Snake Plissken' is given 24 hours to find the President who has crash landed on Manhattan Island. 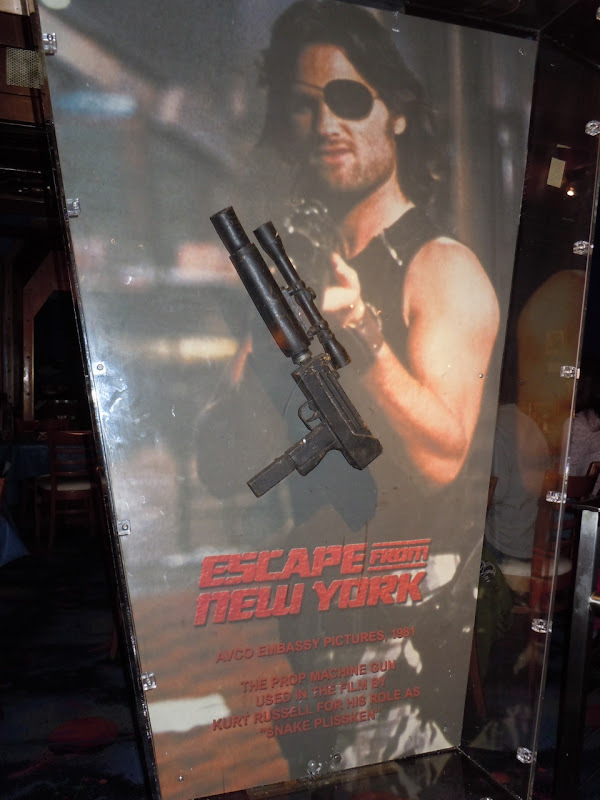 This is Snake Plissken's machine gun prop from the sci-fi movie. 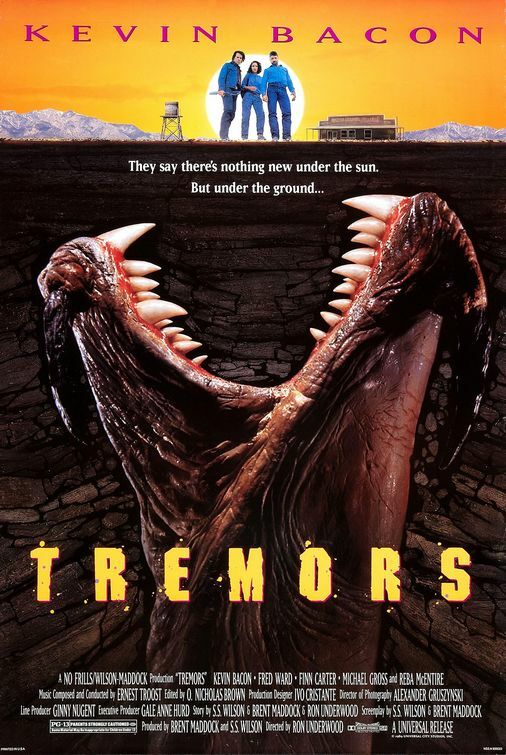 Next up are some creature effects, first from the 1990 comedy horror, Tremors. 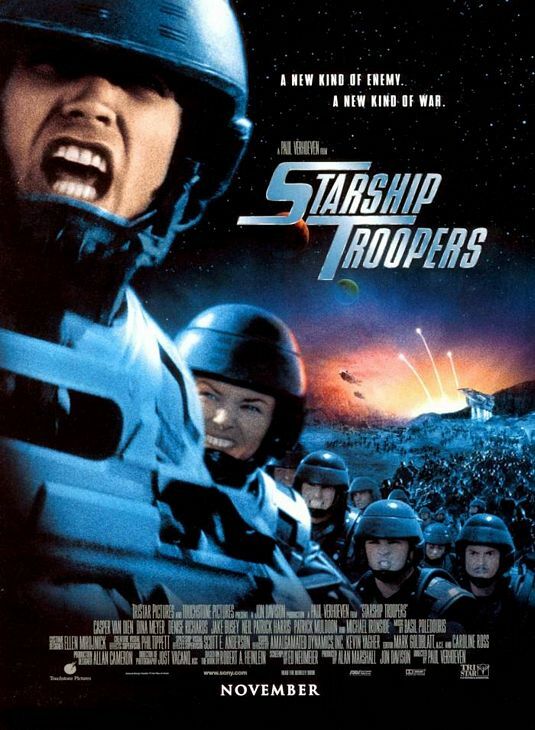 In the movie Kevin Bacon and the natives of a small isolated Nevada town try and defend themselves against strange underground worm-like creatures that attack and kill them one by one. 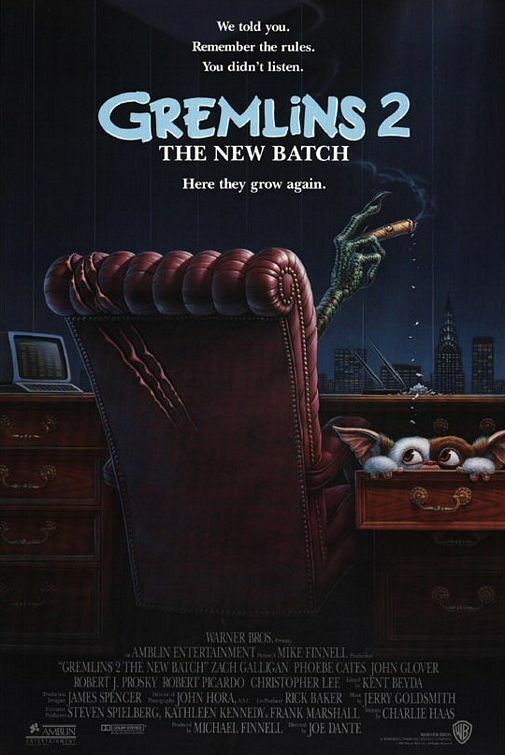 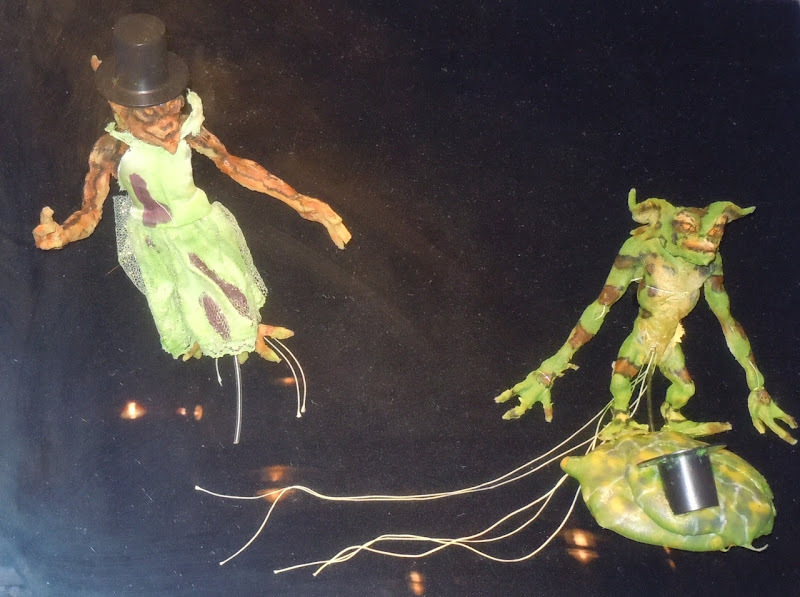 Next up are two puppets used in the Gremlins movie sequel, The New Batch, from 1990. 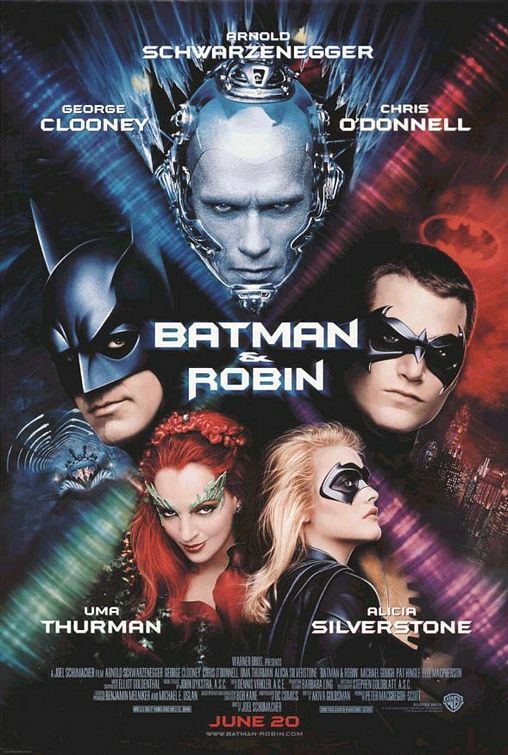 In this movie the reptilian critters wrecked havoc in the building of a media mogul in a much more comedic film than the original. 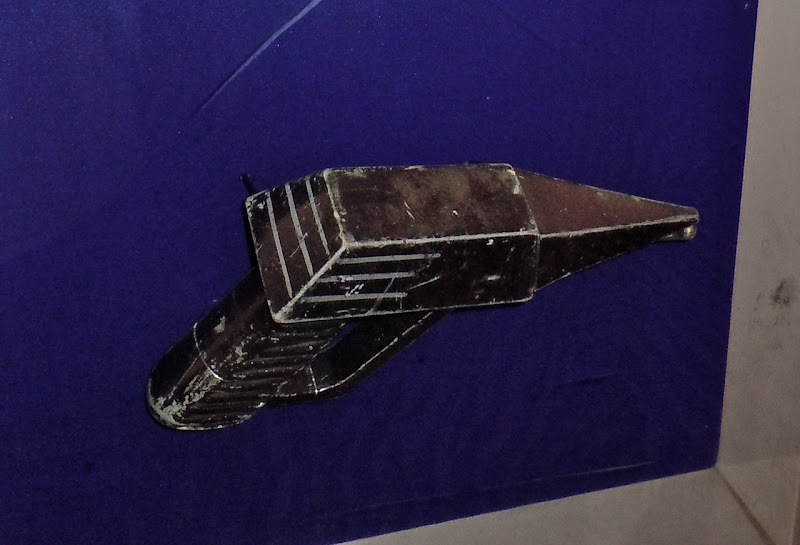 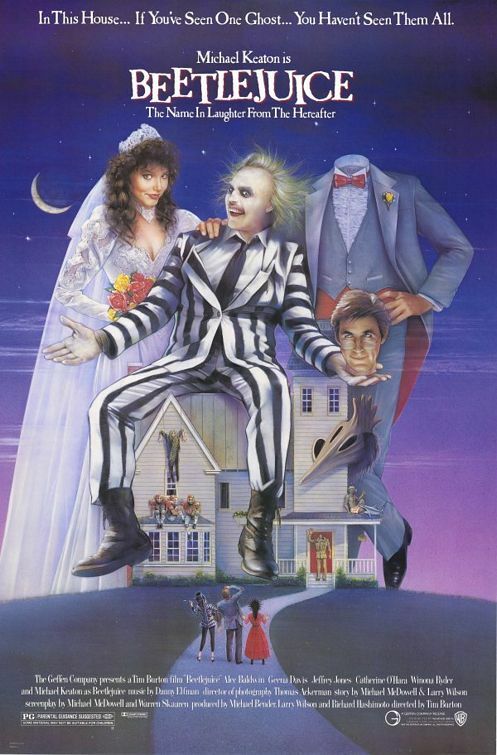 Next was this squashed messenger prop from 1988's ghostly movie, Beetlejuice, which starred Michael Keaton as the titular eccentric character. 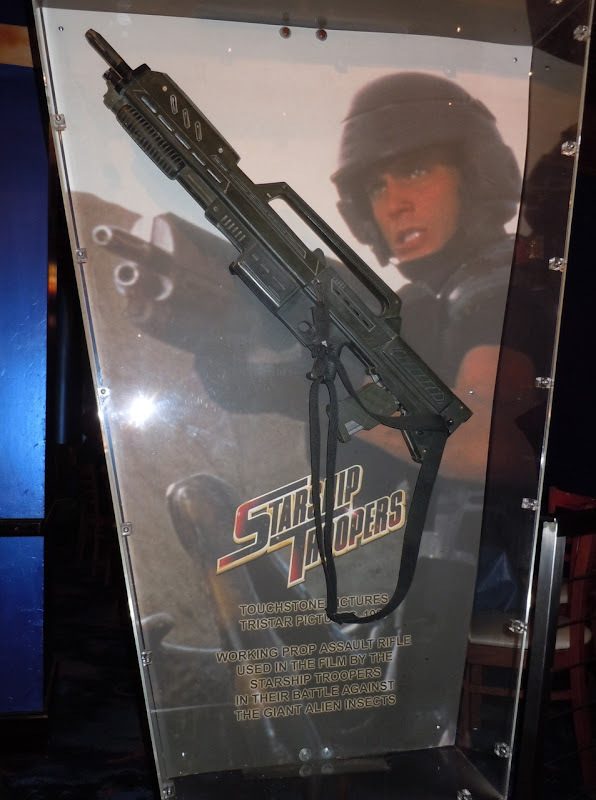 Planet Hollywood had lots of different weapon props to ogle over, from futuristic guns to ancient samurai swords. 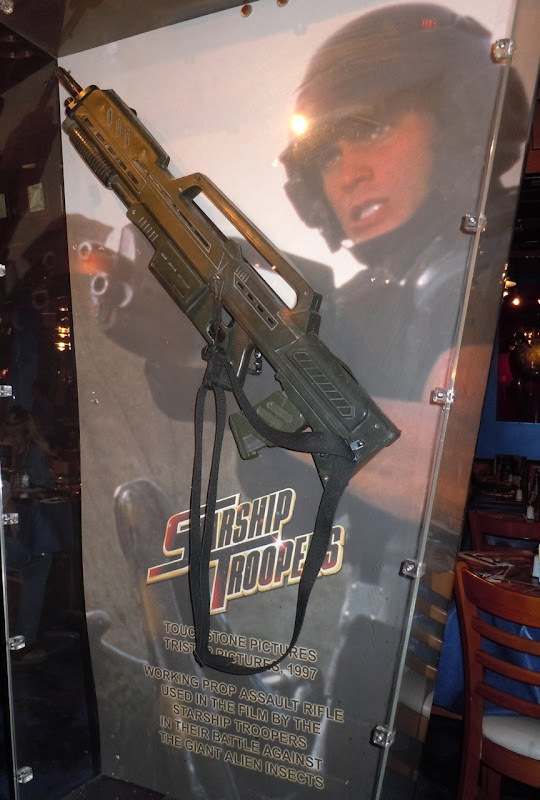 They included this assault rifle used to kill giant insect aliens in 1997's sci-fi war movie, Starship Troopers. 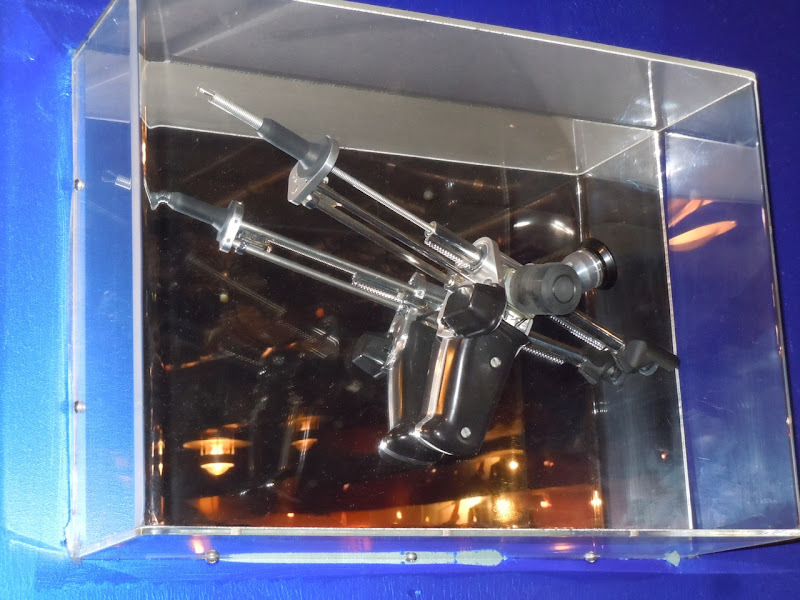 Also on display was this raygun from 1984's sci-fi comedy, Ice Pirates, where water is a scarce commodity in the future. 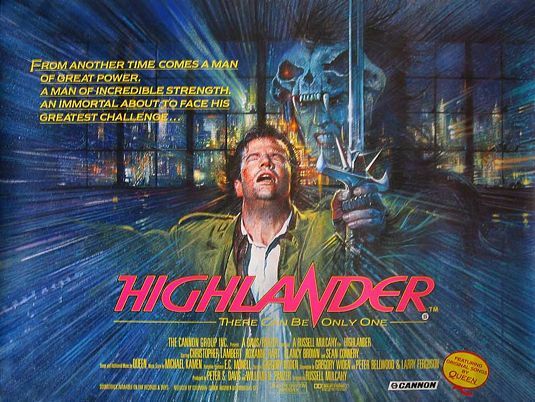 In the 1986 fantasy action movie Highlander, starring Christopher Lambert as a long lived Scottish swordsman 'Connor MacLeod', Sean Connery played a fellow immortal 'Juan Sanchez Villa-Lobos Ramirez'. 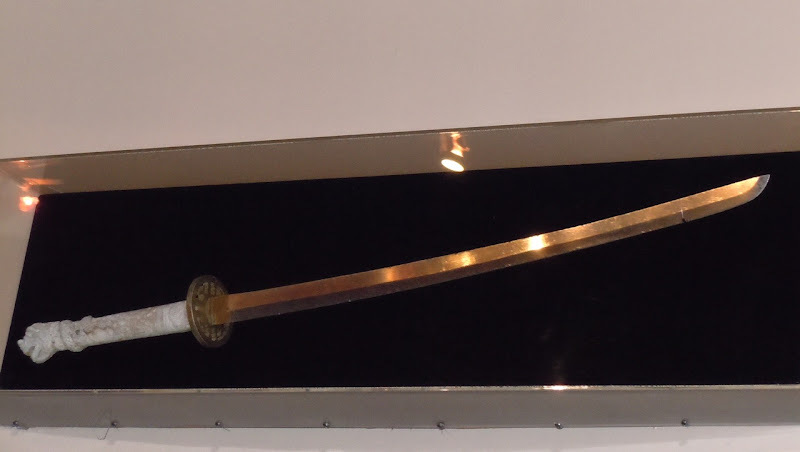 Ramirez helps Connor adjust to life as an immortal when they meet in the 16th century and explains his katana was made by the Japanese swordsmith father of one of his wives. 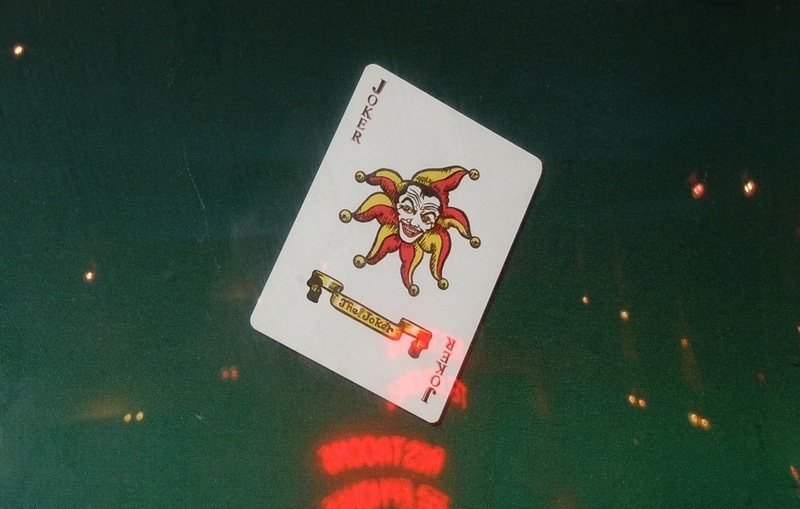 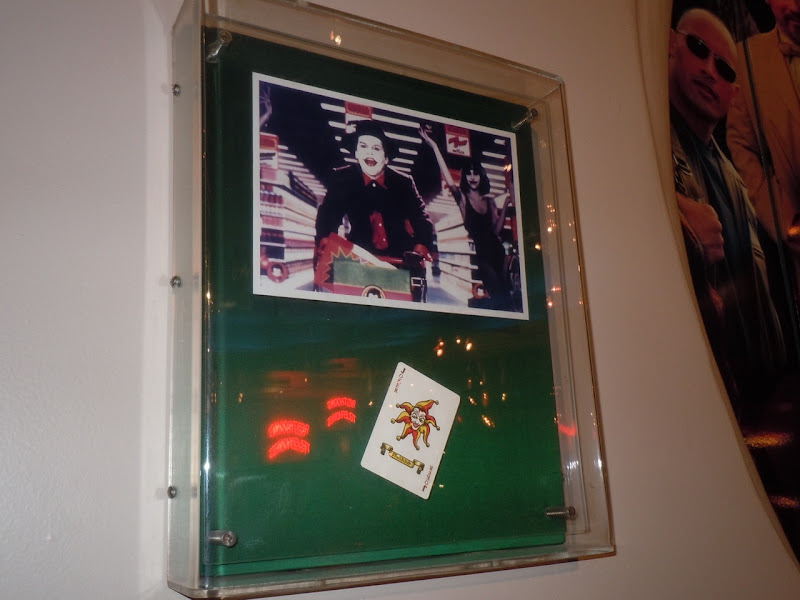 Finally for this collection of movie props, is the Joker playing card used by Jack Nicholson in Tim Burton's 1989 movie, Batman. 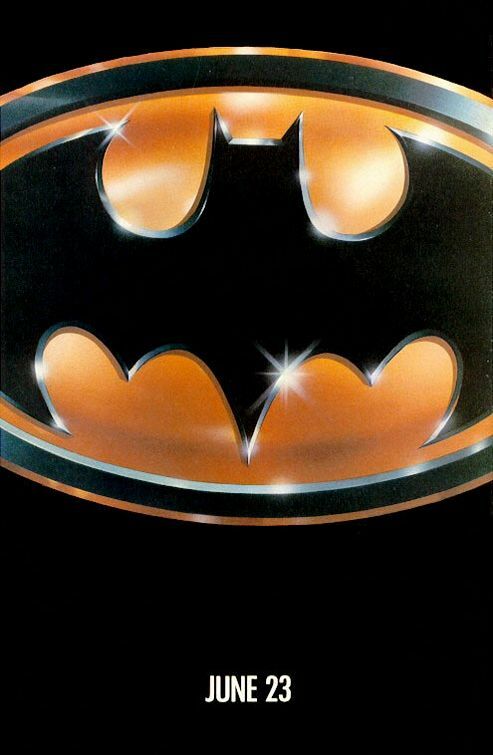 If you're a fan of the Caped Crusader, be sure to also check out Michael Keaton's Batman costume and Batmobile on display here at Hollywood Movie Costumes and Props. Who knew there was more to Vegas than gambling, strippers and hangovers. 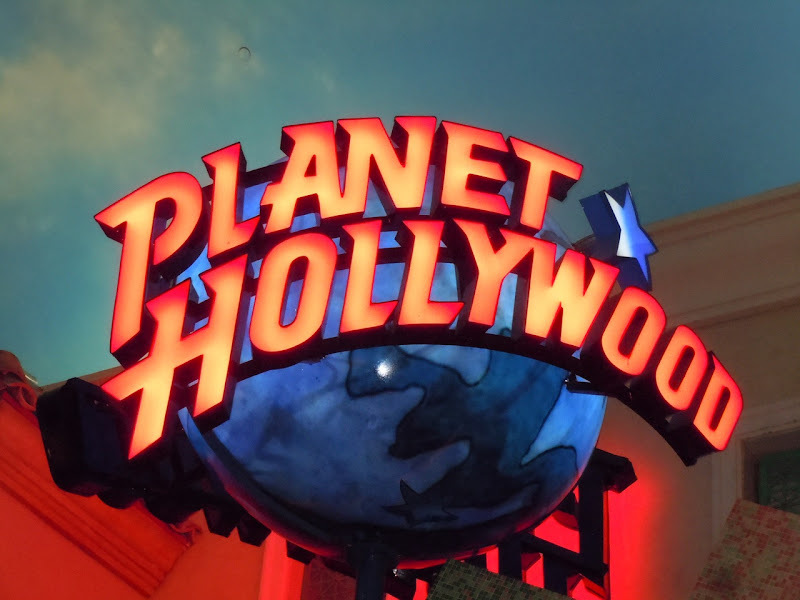 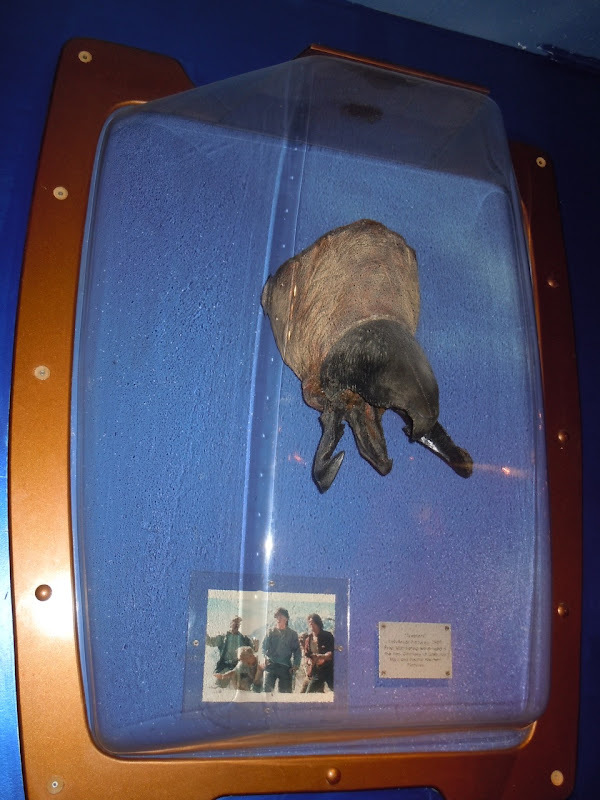 Be sure to check back soon for even more cool movie memorabilia on display at the Planet Hollywood Cafe in Las Vegas.